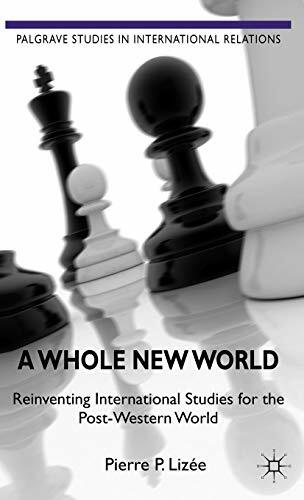 A Whole New World: Reinventing International Studies For The Post-Western World (Palgrave Studies In International Relations): 9780230280397 Hardcover - LIMEROCK BOOKS INC. The consequences of the rise of emerging powers like China and India is becoming the most important topic of debate in international studies. This book focuses on the impact of these changes on the way we study international politics: if international politics is changing, should we also change international studies? PIERRE P. LIZ&Eacute;E&nbsp;is Chancellor's Research Chair in Global Politics at Brock University, St. Catharines, Ontario,&nbsp;Canada. He has held research and teaching posts at the University of California at Berkeley, USA, and at McGill University, Canada. He has also written <em>Peace, Power, and Resistance in Cambodia: Global Governance and the Failure of International Conflict Resolution</em> (2000).